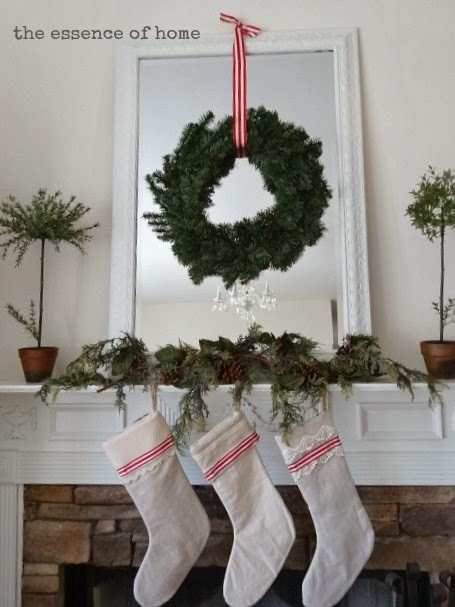 Today, I'm sharing my family room decorated for Christmas over on my sister's blog, Savvy Southern Style. I hope you'll pop over there and check it out! Hope you all have a great weekend too! I'm on my way..Thanks for sharing Kelly..There is no sun here either..Maybe tomorrow ?? Have a fun weekend..
Beautiful! I love the natural with red. Happy Holidays! Yes, I saw it at your sister's blog--it is such a beautiful sunny room. I love the red and white! I'm off to check it out....I'm excited! Gosh, Kelly, you have outdone yourself! Love all of your holiday decor. The greenery and pinecones are so fresh and festive! Love the addition of the red apple! So pretty! Just went over to your sister's blog...and your home looks so beautiful for Christmas!! I'm almost done decorating...hope to finish up tomorrow. The interior design fairy must have sprinkled talent all over your family. You both are so talented! Love all the beauty and inspiration here. It is looking so amazing. I love it all. Love the pops of red with the natural. Too pretty. I just read this Kelly! Congratulations on your feature of your beautiful house!